The Fifth Circuit recently addressed an interesting issue – when a staffing agency’s client asks to replace an employee, does the staffing agency have a duty to investigate the reasons for the request? For example, if a staffing agency’s client calls and says we want you to replace Bob, who is African-American, does the agency have a duty to ask why the client wants to terminate Bob and make sure it is not because of his race? The Fifth Circuit ruled that a staffing agency must follow its usual practices in responding to a client’s desire to have an employee removed, and a deviation from such practices may serve as evidence that the staffing agency knew or should have known of the client’s discrimination. So, in the example above, if the staffing agency typically investigates a client’s complaint about an employee, but in Bob’s case it removes him without confirming that he was unable to do his job, such action may create an issue of fact (and prevent summary judgment in favor of the employer) as to whether the staffing agency knew or should have known that the client’s request to remove the employee was discriminatory. 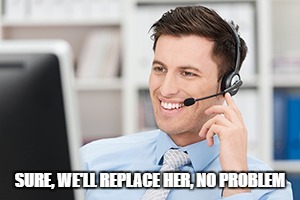 In Nicholson v. Securitas Services USA, Securitas was asked by a client to replace an 83-year old receptionist due to her not being able to perform new technology-related tasks. Securitas removed Nicholson, without asking her for an explanation and without any investigation, and replaced her with a 29-year old employee. According to at least one of its employees, this failure to “check out” the complaint or investigate the reason for the client’s request, was not a normal procedure at Securitas. The Fifth Circuit, therefore, found that the trial court improperly granted Securitas’ summary judgment because there was a fact issue regarding whether the staffing agency knew or should have known that its client’s request to replace Nicholson was motivated by her age. Takeway: A staffing agency is liable for discriminatory conduct of its joint-employer client if it (1) participates in the discrimination or (2) knows or should have known of client’s discrimination but fails to take corrective measures within its control. Moreover, a staffing agency’s deviation from standard evaluation or investigation practices is evidence of discriminatory intent. Thus, staffing agencies should follow their policies and procedures in a consistent manner when faced with a client’s request to remove or replace an employee. If such request is later found to have been based on a prohibited discriminatory factor, a staffing agency who replaces an employee without investigating the client’s complaint may be liable for discrimination along with its client, if its failure to investigate constitutes deviation from its standard procedures. 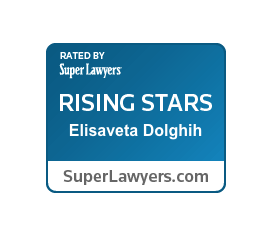 Leiza is a business and employment litigation attorney in Dallas, Texas. If you need assistance with a business or employment dispute contact Leiza for a confidential consultation at Leiza.Dolghih@lewisbrisbois.com or (214) 722-7108. Next postFederal Government Warns That Anti-Poaching and Wage-Fixing Agreements May Violate Antitrust Laws. What Does This Mean for Texas Companies?